We have retired the baby monitor. Rest assured, the baby is still working hard. He’s even been promoted to toddler, now able to walk as fast or faster than he could crawl, which was surprisingly speedily. Strangers on the playground would frequently remark, “wow, he’s fast!” as he careened around their kids going up stairs on his hands and knees. But the monitor is superfluous. It was only being used by Zeke himself as a toy, because it has buttons and beeps when you push them. He would pick up the monitors and press the buttons and carry them from room to room. If he cries when he’s asleep we can hear him anyway. He’s plenty loud. And if he cries for an extra minute because we are in the bathroom or washing dishes and can’t hear him immediately, he’ll live. We are just callous that way. Last night after we came home from camp and day care and the grocery store, Zeke was a little edgy. He had started to melt down at the store, occasional threatening cries staved off by me carrying him and Zoe pushing the cart while I hissed at her to watch out every 30 seconds or so when she almost crashed into someone or something. In the checkout line the cashier, a man, thoughtfully handed Zeke the electronic PIN pad so he could push buttons. I don’t know how he knew that Zeke loves to push buttons, but that definitely bought us some time. We made it home, and I plied Zeke with a bottle of milk and Sesame Street so I could bring in the groceries. Sometime during all that he fell down the stairs, but was ok, and I held him for a while on the sofa, as I was dripping with sweat from all the trips in and out and hauling him around and it was a hot day, and he seemed fine. How many times can a toddler fall down the stairs before he actually gets hurt? I don’t want to find out. By the time Randy got home from work Zeke was really cranky. I hadn’t had a chance to make any food for anyone because I had been chasing him. Randy picked him up and held him and they both dozed off. Randy for only a moment, but Zeke was out. This was 7 o’clock. At least an hour or an hour and a half before Zeke usually goes to bed. And he was wearing a dirty shirt and a diaper. And hadn’t had a bath. But he was asleep, so Randy laid him down in the crib and put a blanket over him. Perhaps 30 minutes later, Zeke woke up screaming. He screamed when I picked him up, screamed throughout the bath, screamed while getting his pajamas on, although he cooperated for all of these activities anyway. He’s very good at putting his arms through the sleeves of shirts, although he does not care for pants. The wailing abated momentarily when Zoe brought up the musical glowworm that used to be hers that we recently rediscovered and she said Zeke could have. She was kind and he was distracted for an instant, and then resumed screaming. Randy attempted to feed him and get him back to sleep for about an hour, but he would have none of it. So he stayed up until 11. At least he wasn’t screaming all that time. From 9 to 11 he played happily. He climbed on and off the sofas about 50 times. He wore hats. He carried around a small dinosaur and rearranged all the coasters. I asked him to put the dinosaur on the coaster and he did! I asked him to bring the dinosaur to Daddy and he did! He’s good at following instructions when he wants to. And we read many books. Front to back, back to front. Occasional pages here and there. He prefers books with photos of objects to illustrations. He flips through these books and points to items of interest and says “this?” and looks at us. It sounds more like “dis” and we say the name of the object. Sometimes it feels like we’re undergoing some kind of memory quiz or neurological exam. “LEMON! BOOTS! FROG! BOWL! BATHTUB! HOUSE! GRAPES! GRAPES AGAIN! FROG! APPLE! BOOTS!” We hope we will pass the test. Last night in one of the books on one of the pages filled with grocery store-related items, there was a red bell pepper. Zeke pointed to it again and again. “PEPPER! PEPPER! PEPPER! PEPPER!” punctuated occasionally by “WALLET AND MONEY!” “POTATOES!” and then back to “PEPPER!” and every time I said pepper Zeke smiled, until he was finally laughing out loud at the pepper. We would close the book and he would open it again, find the page, and point to the pepper, “PEPPER!” Laughter. “PEPPER!” Laughter. Oh thank goodness for amusing vegetables. Finally he started getting floppy and curling up and Randy got him another bottle of milk and I took him outside for the lullaby walk. Within a few minutes he was asleep. Over the past month his sleeping habits have improved significantly. About 85% of the time — clearly a scientific measurement — he will go to sleep without a fight around 8:30 and sleep through the night, until somewhere between 6am and 8am. The other 15% of the time there is some sort of sleeping calamity, either at bedtime or at 2 or 3 or 4am. 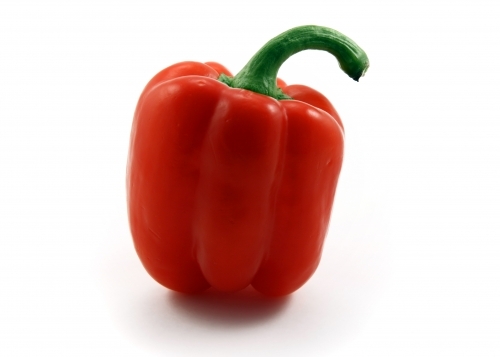 But progress has definitely been made, for which, and for that red bell pepper, we are profoundly thankful. hypercritical, overcritical, fault-finding, disapproving, condemnatory, denunciatory, deprecatory, disparaging, reproachful, reproving, censuring, captious, carping, sitting in judgment. When I’m driving and am powerless to harness them, the ideas and deliberations zoom in and out of my head. Sometimes I feel like my brain actually hurts because of the volume and velocity of thoughts. I had a conversation recently over milkshakes with a friend who is an excellent writer but that’s not what he does chiefly at his job. He is trying to figure out how much of a creative writer is in him, waiting to emerge. He said he doesn’t necessarily feel like he’s one of those people who is compelled to write. I am one of those people, but so often I hold myself back. My overdeveloped sense of empathy serves as an effective censor. I am frozen by my concern for how others might feel about what I have to say, even strangers. This temperance toward my writing makes me feel like less of a writer. I’ve heard that the thing you love most about your significant other can also become the thing you most despise. I suspect this is also true about yourself.